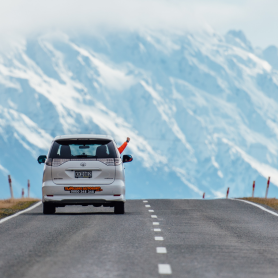 New Zealand, with its snowcapped mountains, rugged fiords and crystal blue lakes, is a dream destination for many travellers. Although, exploring the country does not always come cheap, especially when it comes to eating. 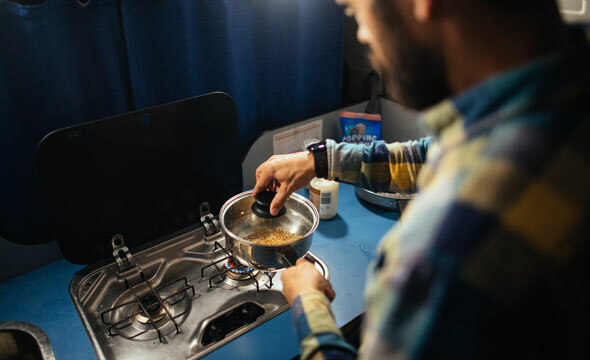 Travelling in a campervan is a great way of saving money on food costs, by utilizing your built-in kitchen. 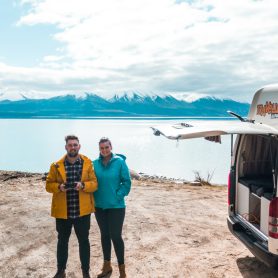 Here are some of our top tips to allow you to spend less than $20 a day on food in New Zealand, without compromising on indulgence! Breakfast generally a very simple meal that has low-cost ingredients and can fill you up for a good amount of time throughout the day. Eating breakfast at a cafe in New Zealand will typically cost you around $15, for what is just eggs and toast. Skip the cafes and make yourself a delicious omelette inside your campervan for only a few dollars. Just because you are on a budget doesn’t mean you can’t go out and enjoy a meal at a restaurant or cafe. For example, if you are visiting a city like Queenstown, you wouldn’t want to miss out on the awesome foodie culture. You can still eat out one meal a day if you want to stick to a $20/day budget, you just have to know where to go and what options they offer. You can grab yourself a pizza from the Searle Lane bar for around $5 every night from 8-9: 30 pm! Fresh ingredients such as vegetables are a lot less expensive than packaged and processed food and you can buy them in a lot more bulk. Cook up a tasty but inexpensive vegetable and coconut milk curry with vermicelli noodles for less than $4. Try going meat-free most days and supplement proteins with beans and chickpeas which are also less perishable. 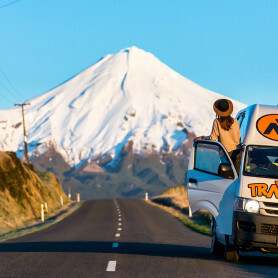 Hiring a campervan is one of the most budget-friendly ways of travelling around New Zealand. You can take advantage of the savings that come with having your own kitchen and food on board everywhere you go. And besides, who wouldn’t want to eat breakfast with a view of spectacular mountains?! 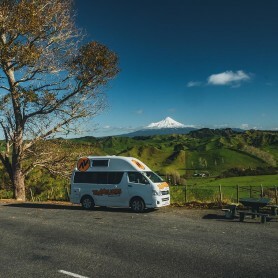 Start planning your New Zealand campervan escape today out of Travellers Autobarn Christchurch or Auckland.